Just last season I was asking the question whether The CW could continue to keep its doors open with all of its shows struggling noticeably in the ratings. But this season the fifth place network appears to have turned its fortunes around to an extent, in part because of its focus on sci fi / fantasy as a large chunk of its ten hours of Prime Time programing. 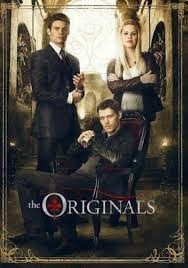 Returning shows Vampire Diaries, Supernatural, and Arrow have held their own or even improved their numbers this year, and new entry The Originals has become a strong addition to the network’s schedule (by CW standards). Now the truth is that the ratings in the all-important 18-49 demographic are still relatively low compared to the other broadcast networks (with The CW’s best shows generally falling in the 1.0 to 1.2 range), but the year to year attrition that we have been seeing appears to have halted, at least for these shows. And last season The CW had just one night that it could consider a success (by its standards), which was Wednesdays when Arrow and Supernatural delivered relatively stable ratings. On Thursdays, Vampire Diaries held tight to the 8 PM EST timeslot, but its lead-out series Beauty and the Beast could barely hold half of its lead-in audience by the time the season was winding down. And the other three nights that the network programmed (Monday, Tuesday, and Friday) were nothing short of a disaster as The CW could barely hold onto a 0.5 rating for the two hours it had on the Prime Time schedule (numbers that are only passable for cable networks like Syfy). This season, though, the network has a good foothold on three nights (Tuesday through Thursday), and it is genre entries that are performing best on those nights: The Originals and Supernatural on Tuesday, Arrow on Wednesday, and Vampire Diaries on Thursday. True, The Tomorrow People has been somewhat of a disappointment in the Wednesday Arrow lead-out slot, but the network will be doing some schedule juggling at mid-season and will bring in another sci fi series–the promising The 100–to take advantage of Arrow’s hold on that night. And next season, The Flash could find its way to the schedule possibly paring with Arrow or maybe trying to establish a beachhead for the network on Monday nights. But it’s important to note that The CW, struggling for so long, is finding new life with science fiction and fantasy and is actually doing better with the genre than the other broadcast networks both in quality and (relative) ratings. If it continues on its current path, it could become the broadcast sci fi channel by next season based on its current slate and the shows it has in the pipeline. Previously the network’s strategy was to aim at the niche audience of young females and most of the genre entries still appeal to that group. But the network appears to be shifting course a bit and reaching out more to sci fi / fantasy fans and they definitely seem to understand that audience better than the Big Four broadcast networks. The CW may not be rolling out any Walking Dead’s for the moment, but they are definitely providing better genre entertainment than such mediocre entries from the other broadcast nets like Revolution, Almost Human, and Once Upon A Time. This new direction could very well be the key to brightening up their once dubious future and a reason for sci fi and fantasy fans to pay close attention to what the network is doing going forward.